TIP: You can save products to your favorites list if you log in The last few years we have seen once-powerhouse Sumatra returning to its rightful place in the coffee chain. The 2004 tsunami disaster wreaked havoc on the Northern part of the island, particularly, and the rebuilding of families, infrastructure and plantings has been arduous. Quality has been steadily returning, and we are sneaking in with a most unusual offering of Aged Blue Batak to complement our more-traditional Organic Takengon Mandheling KKGO. 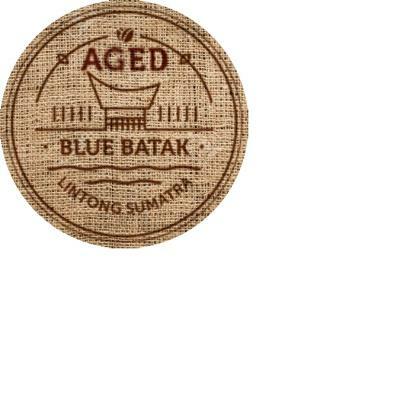 Aged Blue Batak, which hails from the Lake Toba/Lintong region, is produced at 1000-1200 meters by a group of smallholder farmers spearheaded by the triumvirate of Resina Sihombing, Malon Sianturi and Hernis Sianturi. Principally comprising Catimor and Djember (adding local varietals Sigarar Utang and Garunggang), the coffee undergoes traditional semi-washed/wet hulling process; cherry is partially mechanically-pulped, stored briefly in bags for fermentation, and then taken to a mill for the removal of the parchment. This still-moist-bean processing..eschewing the drying common in most of the rest of the coffee world.. imparts the bluish-green tinge, and much of the prized �rustic� and earthy flavor one finds in fine Sumatran coffee. The additional aging of two years (this coffee was harvested/processed in Sept-Oct. 2016) in humidity-controlled warehouse brings more intense flavors to the fore. Drip methods and French Press are arguably the best way to experience this unique coffee. 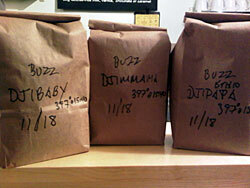 The woodsy-sweet, cashew, toasted sesame and tobacco-ey notes emerge in the medium roast profile. "I just wanted to let you know that your espresso is absolutely lovely. The body and crema wow!!! The acidity amazing. Everything about it is WOW!!! You have a done a great job roasting this coffee together and I love it!! "